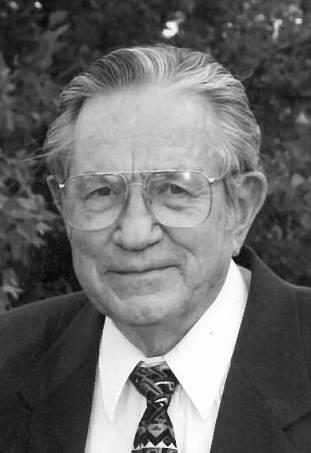 ALTON — Dr. John Franklin Gaskill, 86, of Godfrey, passed away Tuesday, Oct. 30, 2018, at Eunice Smith Home in Alton. He was born Nov. 24, 1931, in St. Charles, South Dakota, the son of A. Dean and Orfa (Hollen) Gaskill. He married Marcia Schoening in 1958, and she survives. Dr. Gaskill attended the University of Nebraska, and graduated from the University of Nebraska Medical School. He was a Fellow of the American College of Surgeons. Among his many achievements; Chief of Surgery at Alton Memorial Hospital, Chief of Staff at Alton Memorial Hospital and St. Joseph Hospital, a member of the medical staff at St. Anthony's Health Care, and an Aviation Medical Examiner. Dr. Gaskill was an Elder and member of First Presbyterian Church. He was also a member of Lockhaven Country Club and the Alton-Godfrey Rotary Club. His many interests included flying airplanes, golfing, snow skiing, scuba diving, as well as being an avid gardener. He was proud to serve in the Medical Corps and as a Captain in the US Air Force. In addition to his wife, Marcia; he is survived by four children and their spouses, Lisa and Tom Johannsen of Centennial, Colorado, Mark Gaskill of Godfrey, Christena and Brian Cassidy of St. Louis, Missouri, and John Bradley and Colleen Gaskill of Kingsport, Tennessee; a brother, Alton Guy Gaskill of Moses Lake, Washington; seven grandchildren, Jessica Gaskill, Robert Johannsen, Jonathan Johannsen, Ellie Gaskill, Adam Gaskill, Landon Cassidy, and William Cassidy; and many other relatives and friends. He was preceded in death by his parents; and five siblings, Harvey Gaskill, Dean Gaskill, Lawrence Gaskill, Don Gaskill, and Margie Vrana. Visitation was from 5 to 7 p.m. Monday, Nov. 5 at Elias, Kallal and Schaaf Funeral Home in Godfrey. Memorial Services were held at 10 a.m. Tuesday, Nov. 6 at 1st Presbyterian Church in Alton. Inurnment followed at Valhalla Memorial Park Cemetery in Godfrey. Memorials may be made to the 1st Presbyterian Church. Condolences may be found online at Elias, Kallal & Schaaf Funeral Home.